A fifth of Star’s pubs are now Cask Marque accredited with a further 5% expected to be approved by the end of the year. The number of Cask Marque accreditations is double what it was at the start of 2017 boosted by take-up of Star’s new SIBA Beerflex scheme. 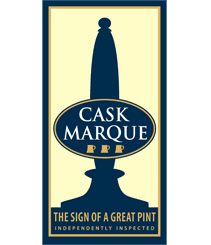 Under the agreement, Star licensees with Cask Marque accredited pubs can order local cask ales brewed by Beerflex participants within a 30-mile radius of their pubs. Mick Howard, Operations Director, Star Pubs & Bars says: “Our SIBA deal is largely responsible for the growth in accreditations, helping to increase customer choice as well as cask quality in Star pubs. Mike Hales of The Butlers Arms, Pleasington (pictured left) was one of the first licensees to participate in Star’s SIBA partnership.